Is Rick Perry High Energy, Or Just High? Former Texas Governor Rick Perry didn’t simply fail to recall the name of the Department of Energy in a past presidential debate, he failed Science. Perry may be light on facts, but he’s also light on his feet. Suffice it to say, this sparkle-suited climate denier did better on Dancing with The Stars than he did in college. But how will he fare when faced with a determined, increasingly vocal scientific community? Based on Perry’s academic record, it looks like an experiment that’s bound to fail. Of course, academics are not always a true measure. Other factors in life might contribute to a person’s success or failure in performing a particular job. 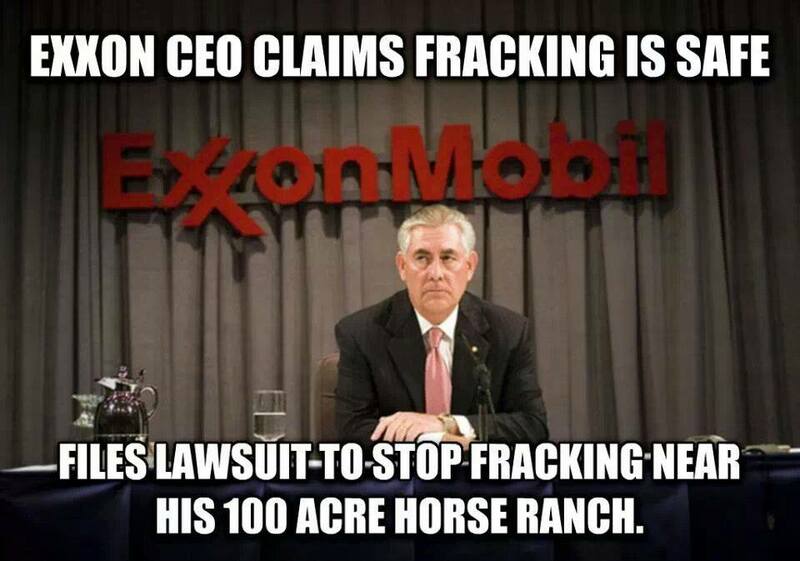 The Tax `n Frack era is upon us. On Wednesday, February 11, 2015, Pennsylvania Governor Tom Wolf announced to a classroom full of Thorndale elementary students that he plans to tax shale gas drillers to pay for things like textbooks, and the laminated weather map hanging ironically on the wall behind him. Tying education funding to a single, cyclical, heavy industry, and one with a wildly variable price at that, is bad business for the state. Wolf should know that no tax will ever begin to cover their true tab, or replace what they are presently destroying. While he’s at it, Wolf might ask gas drillers to print up some new textbooks, too. Otherwise, Pennsylvania school children might learn about the legacy of toxic pollution that they and our legislators are leaving behind. 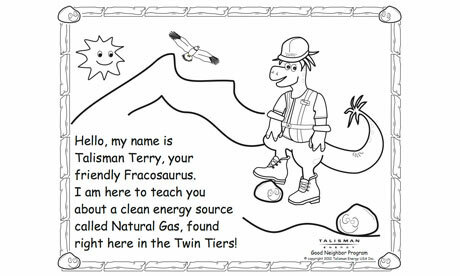 Remember Talisman Terry, the friendly Fracosaurus? He was featured in a propa-ganza enriched coloring book published for Pennsylvania school children, and hilariously immortalized by Stephen Colbert in 2011. Will Governor Wolf listen to the science about fracking? Montgomery and Bucks are the only counties in Pennsylvania where there’s a moratorium on hydraulic fracturing. We don’t see rigs from our front porches, or continuous flares. We don’t get headaches from strange odors, or drive on crumbling roads clogged by endless truck traffic. In the Philadelphia suburbs, it’s easy to ignore the health and environmental impacts of Marcellus shale gas drilling. New York will ban fracking — huzzah! Despite the media’s subdued coverage, fractivists will always remember where they were when they first heard the news. I was sitting at my desk, reading emails. Citing Health Risks, Cuomo Bans Fracking in New York State, by Thomas Kaplan, New York Times, December 17, 2014. New York State Prohibits Fracking Delaware Riverkeeper Network Applauds New York’s Assessment and Conclusion, Press Release, The Delaware Riverkeeper Network, December 17, 2014. Cuomo’s announcement was not only momentous, it was a surprise gift, and it was met with gratitude, tears of joy, and dancing in the streets. A spontaneous gathering thanked Cuomo, who merrily took one of the activist’s signs with him to commemorate the historic occasion. This very festive video was posted on Facebook by Sabrina Artel. On msnbc, however, Alex Wagner characterized Cuomo decision like that of a reluctant, job-killing environmental anti-hero who was shying away from the limelight for the sake of appearing politic. I think she sells Cuomo short. I get the sense that the governor simply preferred to let science have its day. Recently, my son wrote an essay about hidden costs. He discussed the heavy toll that certain industries, like factory farming and clothing manufacture, take on humanity and our environment when they externalize their true costs. Naturally, it got me thinking about the external costs of fracking. One of the biggest hidden costs of Marcellus shale gas development will be a significant reduction in the number of clean, fresh drinking water supplies for future generations. PA watersheds have endured a history of environmental degradation from a variety of sources such as logging, agricultural run-off and acid mine drainage, to name just a few. But while it’s true that many threats to our water supplies are long-standing, we can’t ignore the fact that they now face a much more serious, imminent threat. The instances of fresh water contamination in Pennsylvania have increased dramatically since hydraulic fracturing began. As fracking booms, waste spills rise — and so do arsenic levels in groundwater, Reporter: Reid Frazier, Writer: Adam Wernic, Living on Earth, Public Radio International, November 18, 2014. How can we not worry? The business of shale gas is predicated on taking public risks for the purpose of private gain. All it requires, apparently, is a pricey ad campaign and couple of slick publicity stunts. Politically, Pennsylvania is in a race to the bottom. On one hand, we have incumbent Governor Tom Corbett [R], the devious idiot who has been giving away the farm, both literally and figuratively, to Marcellus shale drilling special interests, to whom he is totally beholden. Some of Ohio’s most talented musicians came together on Earth Day, 2014 to record this bluesy, planet-loving song, written by Jenny Morgan of “You Can’t Drink Money” fame. I love that it echoes a strong current among fractivists. Fighting fracking is not simply about stopping the boom/bust cycle of shale gas development, it’s about getting real, and actively moving toward a healthier, more sustainable fossil-free future. “He can make his billions, but he don’t own the sun.” Video share by Carolyn Harding, radioactivewastealert.org and Cinublue Productions in Columbus, Ohio. Thank you! Who’s Gonna Show #OneTermTommy The Door? Most Pennsylvania primary elections are sleepy business. Not this one. On May 20, 2014, an all-important primary election will be held, and it will probably determine the state’s next governor. Leave it to LA to make a big splash. The city of angels just became the largest U.S. city to approve a zoning ordinance against hydraulic fracturing and other well stimulation methods, and the vote was unanimous. “City council unanimously voted Friday afternoon to send a moratorium motion to the city attorney’s office to be written as a zoning ordinance. It will then return to council for a final vote,” reports Brandon Baker in Breaking: Los Angeles Passes Fracking Moratorium, EcoWatch News, February 28, 2014. I’ve been updating the List of Bans Worldwide page regularly. Thankfully, the list will never be finished. Bans against hydraulic fracking, shale gas processing and waste disposal are proliferating. Pennsylvania has 17 local bans and a statewide moratorium in the works, and many democratic gubernatorial candidates agree with the growing call for a permanent ban in state parks and the Delaware River Watershed. New Jersey has 33 anti-fracking actions currently gaining momentum, and New York has a staggering 218, including a strong statewide moratorium measure. When the tiny town of Marcellus, New York seeks a fracking ban and the right to local zoning, the irony pretty much abounds. 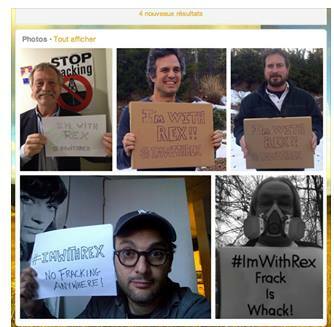 Seems wherever fracking goes, vigorous grassroots opposition springs to life. High volume hydraulic fracturing is a developing industrial technology, and as it expands into more populous regions, shale gas drillers are finding that most people object to noxious air pollution, water contamination, explosions, blow outs, spills, truck traffic, light pollution and earthquakes caused by the injection of millions of gallons of radioactive toxic waste – water that was once fresh, clean and potable. Turns out, no one – not even Exxon CEO Rex Tillerson – wants to live in an industrial sacrifice development zone. A lot of very talented people are working hard to make clean air, non-industrialized un-fragmented land, and protected public water supplies a reality. Luckily, Food and Water Watch keeps a list of their efforts. It’s grown to 407 measures passed in the U.S., and counting. FWW also maintains a handy interactive map. Food & Water Watch wants you to know that the Special Protection Waters of the Delaware River Basin are more endangered than ever. Gas drillers want in. 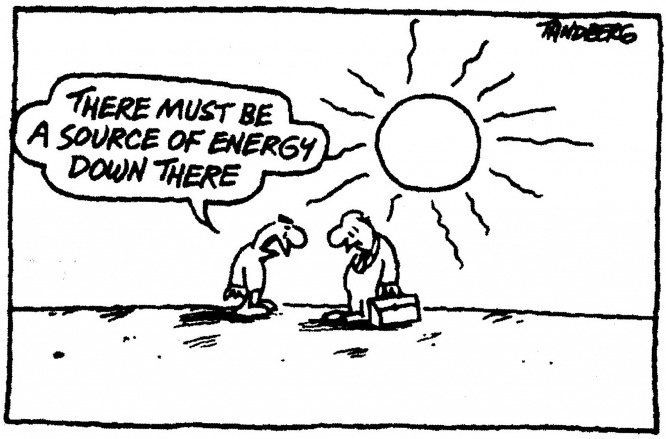 They want to produce and transport, and to frack, baby, frack. DRBC’s Collier has indicated that she intends bring a new drilling “strategy” to a vote before departing her post. It may be her idea of a legacy, though I certainly wouldn’t want all those undisclosed chemicals on my conscience. President Obama – the man who campaigned on a pledge for a sustainable energy future yet now favors the term “energy independence” – may well deliver the deciding vote on the DRBC via the federal Army Corps of Engineers. Conscience, per se, probably won’t factor much into that decision. As ever, the only way to protect the Delaware River Basin from the massive impacts of shale gas industrialization is with massive pubic outcry. Start by adding your name to the the growing list of Americans who oppose expanding our dependence on fossil fuels, along with any plans to allow shale gas drilling the Delaware River Basin. Sign the Food and Water Watch letter addressed to President Obama and the governors of New York, New Jersey, Delaware and Pennsylvania, Protect the Delaware River Basin With a Ban on Fracking. It’s time once again to save the Delaware River basin from the toxic impacts of shale gas drilling. 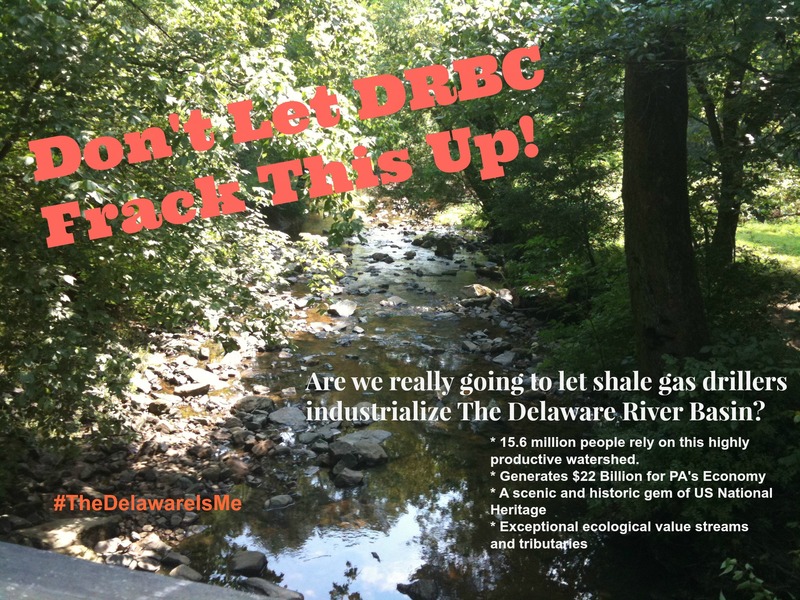 At the next public hearing of the Delaware River Basin Commission (DRBC), on Tuesday, December 3, 2013, a coalition of concerned advocacy groups will present a scrapbook entitled The Delaware Is Me. The idea is to celebrate the Delaware River and commemorate another year without fracking. The point is to show the commission why this high-value, highly productive watershed ought to be spared from the ravages of industrial shale gas drilling. The magnificent, historic Delaware River touches 15.6 million lives, and extraordinary photographs has been literally flowing in. As you may have guessed, no two images – or reasons – are alike. You can glimpse some of the photos and join the event on Facebook at The Delaware Is Me, or follow on Twitter #TheDelawareIsMe. Better still, attend the public hearing and stand behind watershed advocates and activists in Trenton on December 3rd. The Delaware Is Me project is co-hosted by Green Door Magazine, Catskill Mountainkeeper, Damascus Citizens for Sustainability, Delaware Riverkeeper Network and Catskill Citizens for Safe Energy. On November 12, 2013, State Senator Daylin Leach [D-Montgomery/Delaware] introduced new Alternative Energy Portfolio Standards (AEPS) legislation, SB1171, aimed at reducing Pennsylvania’s dependance on fossil fuels. Leach was flanked by State Representative Greg Vitali [D-Delaware], who is sponsoring companion legislation in the house (HB100), and Tom Schuster, who represented about 24,000 Sierra Club members in Pennsylvania. SB1171 is already supported by the majority of economic and environmental stakeholders in the state, including Blue-Green Alliance, Mid-Atlantic Renewable Energy Coalition and PennFuture. Makes sense, too, in this age of super storms and carbon thresholds, and given the fact that Pennsylvania is the third highest carbon producing state in the nation, right? Tell it to the Mayberry Machiavellians in Harrisburg, please. Under current state law, passed in 2007, Pennsylvania’s power generating utilities must acquire 8% of their energy from renewable sources. Last time I checked, natural gas was not considered a renewable in Pennsylvania, though in Texas the definition gets a little hazy. This short video, Truth About Fracking, features retired U.S. Bureau of Reclamation official, Phil Doe, speaking about fresh water protection to a packed house in Colorado Springs, Colorado on January 10, 2013. It’s part three of four in a series on YouTube. “You should all be concerned about where your water is going… You should protect it.” ~ Phil Doe. Uploaded by GrowthBusters.org. Public interest in the event was so great that organizers shared the series online. Thanks to educational outreach events like these, environmental groups in the Rocky Mountain State have successfully raised awareness about the impacts and dangers associated with fracking. Recently, Colorado voters in three cities approved moratoriums or bans, as was reported by Michael Wines in Colorado Cities’ Rejections of Fracking Poses Political Test for Natural Gas Industry in The New York Times on Sunday, November 7, 2013; and in Colorado Voters Tell Fracking Industry to Frack Off, and by John Upton in Grist, November 6, 2013. 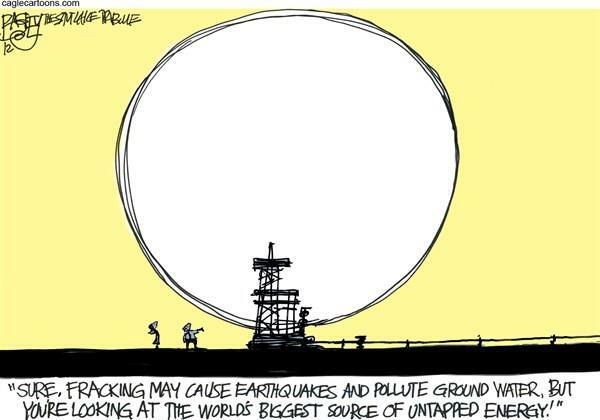 For information about “events and happenings related to this issue” in Colorado, or simply to find some inspiration, visit the Frackbusters Facebook page. What’s It Gonna Be, DRBC? Outgoing Delaware River Basin Commission Director, Carol Collier, has done an impressive job withstanding extreme political pressure. I’ve been highly critical of the DRBC, yet I do believe Collier deserves our gratitude – as long as she doesn’t do anything rash. It’s true, DRBC has approved too many pipelines. 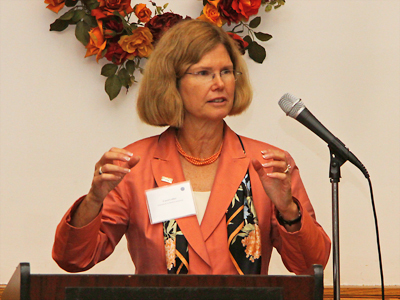 In March 2013, Maya van Rossum, The Delaware Riverkeeper pressed the Commission on the need for greater oversight of planned projects. Deforestation and watershed fragmentation are growing concerns, as are leaks, ruptures and explosions. But generally speaking, under Collier’s leadership, DRBC has stood firm in the face the mighty gas extraction lobby, and it has managed to keep them at bay, and protect our vital, shared fresh water resources all this while. For this, we owe Collier our thanks. She must be exhausted. At this point, it seems unlikely that Collier, who departs in March, 2014, will rally a vote on gas drilling regulations in the Delaware River basin, but one never knows. All you can do is check the DRBC website from time to time. Philadelphia Water Drive Starts Today! You don’t have to be a hydrogeologist to understand the severity of the U.S. Geological Survey’s most recent warning. As the number of suitable sites for deep wastewater injection wells dwindles, and production in the Marcellus ramps up, pressure is mounting on municipal water treatment plants to deal with all the frack waste. But as every good sewage plant operator knows, what goes in, must come out. There are two kinds of people in Philadelphia, those who oppose a Liquified Natural Gas (LNG) export facility, and those who don’t know about it yet. Oh, right, and then there’s a few who’ve been quietly getting LNG done for years. Included in the post is the link to a recently published Sierra Club report entitled, LOOK BEFORE THE LNG LEAP: Why Policymakers and the Public Need Fair Disclosure Before Exports of Fracked Gas Start by Craig Segall, Staff Attorney, Sierra Club Environmental Law Program, with research assistance by legal fellow, Philip Goo. On both sides of the shale gas safety debate, experts agree that “surface spills” hold the greatest threat for surface water and groundwater contamination. Pennsylvania, by the way, is home to more fresh water resources than any other state in the continental U.S.
“Surface spills of fracturing fluids appear to pose greater risks to groundwater than hydraulic fracturing itself,” writes Bryan R. Walsh in Shale Gas: It’s Not the Fracking That Might Be the Problem. It’s Everything Else, Time Magazine, on February 17, 2012. While Walsh pays short shrift the long term impacts of deteriorating wellbore seals, his premise certainly rings true right now. Every week, we see more spills, more overturned tankers and leaky valves, each one a small-scale, highly toxic event unto itself, and it invariably concludes with a dead stream and DEP asking drillers to promise not do it again.